Baha'i Faith in Egypt: Burning of Baha'i Homes in an Egyptian Village Again! The Baha'is of Egypt have been subjected to persecution and systematic oppression. While their quest for equality has been finally heard by many of their fellow citizens, there remain challenges and obstacles to the implementation of laws intended to grant them their full civil rights and equal opportunity in their society. With the emergence of the new Egypt, they are now being given the opportunity to actively engage in rebuilding their nation. Burning of Baha'i Homes in an Egyptian Village Again! An Egyptian newspaper named Youm Sabeh  published an article yesterday reporting on the burning of two Baha'i homes in the Egyptian village of Shawraniyah, located in the southern province of Sohag. These homes, along with three others, were also previously attacked and burned in March 2009, forcing their occupants to flee their village in the middle of the night to save their children's lives. The 2009 incident was previously reported here and here in this blog. The Egyptian paper Youm 7 reported yesterday that two homes of Baha’is were set on fire in Shuraniya village, in the Sohag governorate. 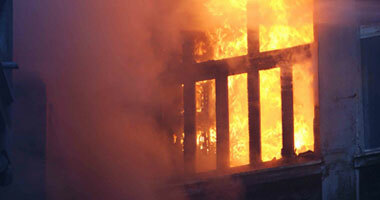 The group of people responsible for the arson also stole property of the Baha’is. The arson did not result in human casualties because the owners of the homes had fled Shuraniya and have been living in Cairo since their homes were previously torched in March 2009, fearing additional attacks. 40 Baha’i families from the village fled it following the attacks and are still unable to return to them. While several people were arrested after the previous arson attack, they were later released and no charges were brought against anyone. 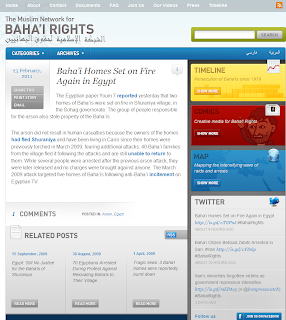 The March 2009 attack targeted five homes of Baha’is following anti-Baha’i incitement on Egyptian TV. Clearly, even with the recent revolutionary events in Egypt, promoting an open society that is looking towards a future that will foster adherence to the standards of human rights, equality, tolerance and understanding, Egypt has a long way to go in order for it to achieve a pluralistic society. These hoped-for changes do not happen overnight, but they rather require hard work, determination, tenacity and persistence in order for the Egyptian society to learn how to provide peaceful and respectful environment for all its minorities. Mahatma Gandhi once said: "A nation's greatness is measured by how it treats its weakest members." Egypt's hope is in its youth, those heroic figures that risked everything in order to be able to love and enjoy living in their own homeland. Let us all learn from Egypt's youth and let us be inspired by their vision and aspirations. It is unfortunate, however, that those who would benefit most from these words never get to read them, and if they do, they simply dismiss them out of hand because of their blind hatred that has no basis but for their pure ignorance. One is left with the conclusion that such rumblings expose the deep-rooted intolerance that can only be attributed to disinformation that has been systemically infused by extremists for several decades. It is unfortunate that those who commit such criminal acts have been driven by blind ignorance, oblivious to reality. Baha'is have always been peaceful, loyal and law abiding citizens of Egypt. They have never harmed anyone, never robbed anyone, never killed anyone, never burned anyone's home, never discriminated against anyone, on the contrary, they have always served their fellow citizens with absolute dedication and devotion. To name a few of their services, they have contributed to the arts, sciences, health care, education and social welfare of their country. It is time for them to live safely and to enjoy their God-given rights and freedoms. As I said before I see the treacherous hand of FANATICS at the bottom of this!!!!! Their ACTIONS BELIE THEIR TRUE MOTIVES!!!! We really don't know who exactly is behind this. Let us not jump to conclusions. Here is the latest on this: the Daily News Egypt reported that State security is suspected of inciting this one! This is condemnable. This is an example of a culture filled with impunity. Your opinion is valuable. Please share your thoughts. Free Baha'is in Iran Now! 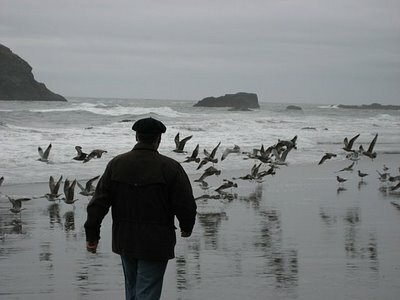 This is a personal Weblog intended as an information tool. It is not an official representative of any agency, institution or organization. Comments are welcome, but any that contain offensive language will be deleted. The blog's author does not assume any legal responsibility for the content of this site, and does not necessarily imply to endorse other sites linked here. “All the Prophets of God,” asserts Bahá’u’lláh in the Kitáb-i-Íqán, “abide in the same tabernacle, soar in the same heaven, are seated upon the same throne, utter the same speech, and proclaim the same Faith.” From the “beginning that hath no beginning,” these Exponents of the Unity of God and Channels of His incessant utterance have shed the light of the invisible Beauty upon mankind, and will continue, to the “end that hath no end,” to vouchsafe fresh revelations of His might and additional experiences of His inconceivable glory. To contend that any particular religion is final, that “all Revelation is ended, that the portals of Divine mercy are closed, that from the daysprings of eternal holiness no sun shall rise again, that the ocean of everlasting bounty is forever stilled, and that out of the Tabernacle of ancient glory the Messengers of God have ceased to be made manifest” would indeed be nothing less than sheer blasphemy. “They differ,” explains Bahá’u’lláh in that same epistle, “only in the intensity of their revelation and the comparative potency of their light.” And this, not by reason of any inherent incapacity of any one of them to reveal in a fuller measure the glory of the Message with which He has been entrusted, but rather because of the immaturity and unpreparedness of the age He lived in to apprehend and absorb the full potentialities latent in that Faith. Article-2 of Egypt's Constitution is in Question! A New Egypt is Born! In Egypt: yes you can have an ID Card, but! Iran's Baha'i Leaders Reportedly "Sentenced"
Could "This" Have a Chance? Egyptian Baha'is Will Not Give Up: Yet Another Lawsuit!